An idea I had for my wedding was using glass decanters to display flowers. 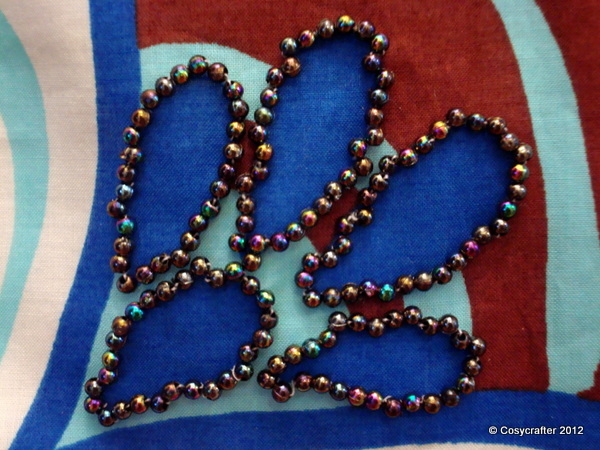 They are really cheap to pick up (about £1 from your local charity shop) and you can decorate them too if you like. I used strings of pearls (also harvested from the charity shops), ribbons, buttons and brooches to decorate mine. Firstly, I looped the necklaces round the decanter and put brooches on the plain ones. Next, I thread a pearly button onto two ribbons and tied them together in a bow, as below. 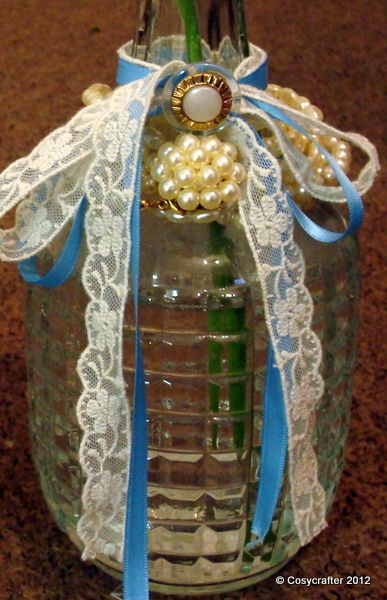 Posted in Wedding and tagged brooches, buttons, d.i.y, decanters, flowers, glass, pearls, ribbons, vases. Bookmark the permalink.